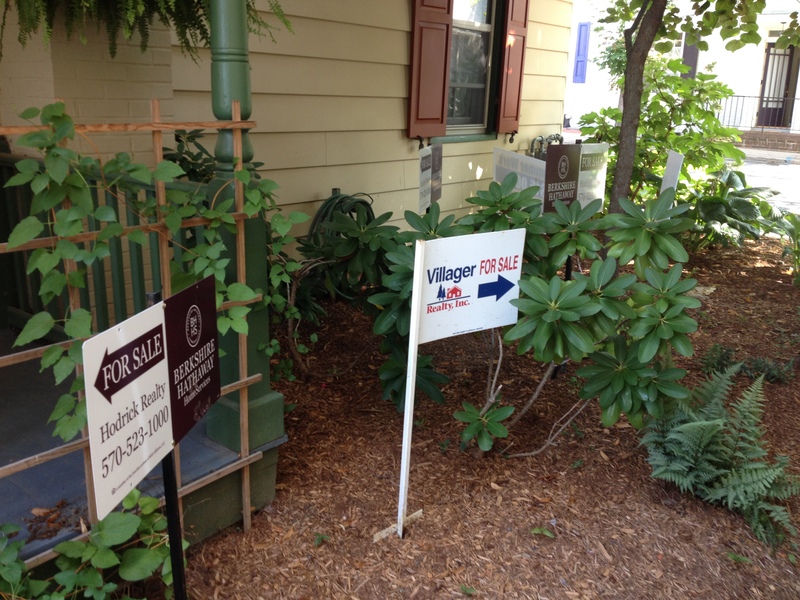 Someone put a bunch of for sale signs in my yard. This kind of thing does not happen accidentally. Someone did it deliberately. People do this to people they don’t like to send them the message, “Get out of town. Leave. We don’t like you.” It is not an accident. It is not random. I am not sure who would do this, but I hear it. I saw a shooting star. It fell from the sky to the west, out past town near Woodward, or past Woodward in State College or past State College in Ohio or Indiana. I was driving east on route 45 into Lewisburg. I drove into town late at night and the streets were empty. No cars and no people. Nobody walking. The town was empty and the air was warm, the last remnants of summer asserting themselves on the streets before the earth tilts and the air cools and the days get shorter. It was exactly like that night. We are always writing the narrative, telling the story.